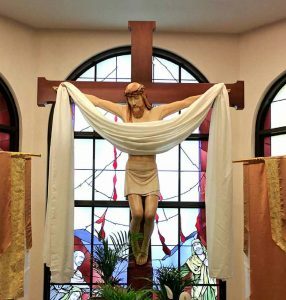 On Easter Sunday, April 21, at 9:00am and 11:00am, St. Timothy will celebrate Mass in the Parish Hall, as well as in the Main Sanctuary. The Parish Hall liturgies will offer contemporary music provided by our Youth Director, Justin Lantz and the musicians from our Sunday evening Masses and will be led by Fr. Lou.